A doctor explains the three ways that GERD (acid reflux) can cause shortness of breath. “Shortness of breath,” when it comes to GERD or acid reflux, is more accurately referred to as labored or difficulty breathing, or a sensation that the airway has become constricted. So it’s not the same “shortness of breath” that you feel after running up two flights of stairs or chasing after your dog. He explains, “Two major mechanisms of reflux-induced asthma have been proposed: aspiration of gastric contents into the lung with consequent bronchospasm. 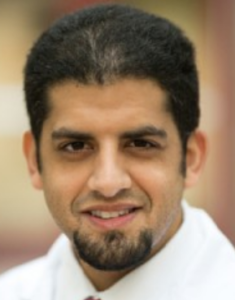 Dr. Alashari explains, “Otolaryngologic manifestations of GERD can result from the esophagopharyngeal reflux of gastric contents with subsequent contact injury of the pharyngeal and laryngeal mucosa. So those are the three mechanisms through which GERD can cause trouble breathing or the so-called shortness of breath. Dr. Alashari explains, “Drug therapy for laryngopharyngeal reflux typically involves acid suppression with proton pump inhibitors (PPIs). H2 blockers and antacids may provide additional benefits. 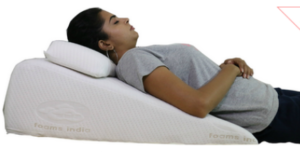 Finally, to impose more of a control on overnight acid reflux and help prevent nighttime breathing difficulties, you should try a wedge pillow that elevates the torso. Elevating only the head with an extra pillow or two will not be effective. Your torso (where the stomach and esophagus are) needs to be propped up at an angle so that gravity assists in keeping acid from refluxing. 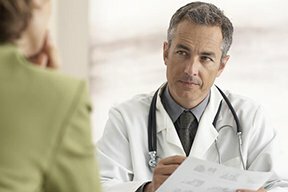 Does GERD Cause Noisy Breathing During Sleep? Why Does Acid Reflux Interfere with Breathing in Healthy People?